There are few things more frustrating for a boat owner than mildew stains taking over your vinyl seats and comfy cushions. Not only are the black spots unattractive, but they can keep you from enjoying your time on board and even diminish the overall value of your boat. If you catch it early on, removing mold and mildew is fairly simple and can breathe new life into your boat’s interior. 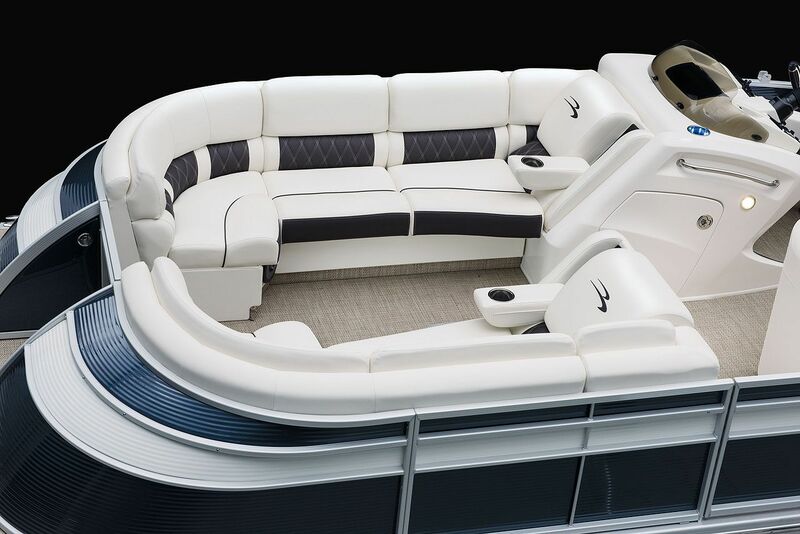 Keep reading to check out a few of our top tips for cleaning and maintaining vinyl boat seats on your Bennington pontoon boat. One of the best ways to prevent mold and mildew from appearing on your vinyl seats is to keep up with a regular boat maintenance schedule. Stock your first-aid kit with alcohol wipes that you can grab for quick spot cleaning. Make a solution of 1 gallon of water and 1/4 cup of mild soap. Use a soft cloth or sponge to wipe the vinyl in a circular motion, avoiding pooling water in the seams. Rinse the seats with clean water and a clean cloth to remove excess soap. Deep cleaning should be addressed whenever you put your boat away for the winter, mid-season and as you bring it back out in the spring. After cleaning with a mild soap solution and clean cloth, allow seats to dry completely and apply a vinyl cleaner with a soft-bristled brush or clean cloth. Alcohol wipes work well to remove mold and mildew stains from the surface of your vinyl seats. Avoid using harsh cleaners that contain ammonia, bleach, Windex or Simple Green. They can easily scrub off or sand down the material. While you may be able to remove surface stains if you catch the problem early on, in many cases, the mold and mildew may penetrate the cushions. If that is the case, you may need to invest in new cushions or seat skins. Interested in more great tips for proper care and maintenance of your Bennington Pontoon boat? Reach out to one of our local dealers online today.